So, why do people purchase precious metals? There are three main reasons: Wealth Preservation, Value Recognition, and Transportability. Let’s take “Wealth Preservation” first as it is the main reason people decide to purchase precious metals. People understand that currencies can inflate--meaning fewer and fewer goods and services can be obtained with the same amount of money. Put another way, with inflation, the buying power of cash decreases, resulting in wealth loss. 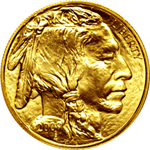 Because precious metals such as gold and silver have historically kept up with the pace of inflation--and during some periods exceeded the rate of inflation--people have come to recognize the value of bullion ownership as a hedge. In addition to Wealth Preservation, people tend to purchase precious metals because the value of these metals extends to nearly all cultures and all geographical areas. Gold and silver have “Value Recognition” nearly everywhere in the world, and because of that, these metals can be bartered and/or easily converted into almost any currency. These rare attributes qualify gold and silver to be considered very liquid assets. Why is this important? The reason is simple--precious metal ownership is likely to provide protection against worst-case scenarios, such as complete currency failure or another financial catastrophe. Should such a devastating event take place, many believe that those who own precious metals will be at an advantage as they will be able to either convert their gold and silver into one of the other world currencies, or they will be able to use the actual metals as a means to barter. While value recognition is important, it wouldn’t mean much if the item in question was either out of the owner’s possession or unable to be moved. With precious metals, “Transportability” isn’t a major concern. It is relatively easy to move a substantial amount of monetary value in the form of gold, silver, platinum and palladium. This is further simplified as precious metals are typically traded in units of one to 100 ounces. While very large quantities of precious metals might be bulky, it is unlikely someone would have to transport an unmanageable amount at any given time, and dollar for dollar, there may not exist a suitable alternative. Price! 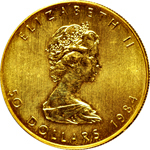 Price is the most important aspect of buying precious metals. Price is key. Any precious metals product obtained at the right price is a good buy. 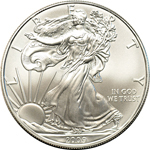 So, before making any decision to own gold, silver, platinum, and palladium, you should first compare prices. This should be done before every precious metals purchase you make as premiums and buy/sell spreads change regularly. Speaking of buy/sell spreads, you should strive to deal only with traders who have a published, regularly updated buy/sell spread, which is simply the difference between the amount the trader is currently paying for a particular item and the amount the trader is currently asking for a particular item. Typically, the closer the spread, the better the transaction is for you. 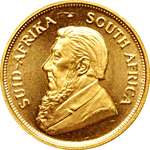 Items that fall under this category include American Eagles (minted by the US Mint), Canadian Maple Leaf Coins (minted by the Royal Canadian Mint), South African Krugerrands (minted by the South African Mint), historic US gold and silver coins, and name-brand bars. All precious metal products sold at Scotsman are considered industry accepted investment grade and we maintain an active buy/sell market. *Cashier payments must equal the total amount due and cannot be combined with cash payment when the invoice exceeds $9,999. Cashier and personal checks may take up to 14 days to clear through normal banking channels. To avoid having to wait up to 14 days, submit with the cashier check the business card of the bank teller that issued the check when making payment. Missouri residents paying with a personal check may submit printed documentation from their online banking account attesting that the check has been processed and cleared, which will decrease the wait time. Know with whom you are dealing, and ask them for references and industry affiliations. Purchase from a company that has experience actively trading in precious metals. Be wary of telemarketers and aggressive salespeople. Always take delivery of the items you purchase unless your items are part of an IRA. Keep good records of the purchase date and amount paid for every transaction you make. No reporting takes place when an individual purchases precious metals. These transactions are fully and completely confidential. The only time reporting takes place is when you sell specific precious metal products, and even then, only when a specific quantity threshold has been met. 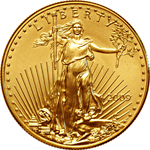 All companies dealing in precious metals must submit a 1099B form to the IRS when purchasing the following in a single purchase: 32.15 troy ounces or more in gold bar form; 1,000 troy ounces or more in silver bar form; 25 troy ounces or more in platinum bar form; 25 or more 1oz gold Maple Leafs; 25 or more 1oz Krugerrands; 25 or more 1oz gold Mexican Onzas; and U.S. 90% silver coins with a total face value of $1,000.00 or more. 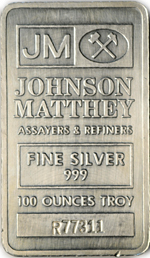 All other forms of precious metals are exempt from this 1099B reporting requirement. However, profits and losses made on precious metals are similar to other types of investments. Talk to your accountant.